Even though the 4th of July falls on a Tuesday this year, the lake area will begin celebrating this weekend! Our family fun Lake of the Ozarks attraction has plenty for you to do during the daylight hours, and once the sun sets, there will be multiple fireworks displays happening all over the place! Here is a suggestion on how you can spend this 4th of July holiday at the Lake of the Ozarks. Start your holiday vacation out with America's most scenic cave tour. Bridal Cave is always a pleasant 60° inside, and the natural beauty that has formed over the years will simply take your breath away. Our knowledgeable tour guides will tell you all about the cave, both present-time and in its intriguing past. It's not only fun, it's also educational! 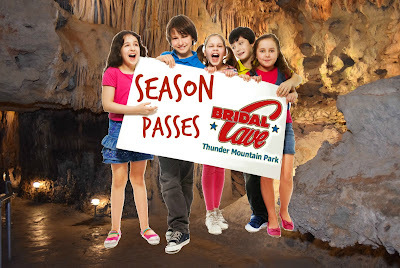 Get Your Bridal Cave Season Pass! Bridal Cave is one of America's most scenic cave tours, and there are so many magnificent things to see everywhere that you look, it's impossible to take it all in in one trip. This is one of the reasons that our family fun Lake of the Ozarks attraction has season passes available for purchase. Pay once and visit the cave as often as you like, all year long! 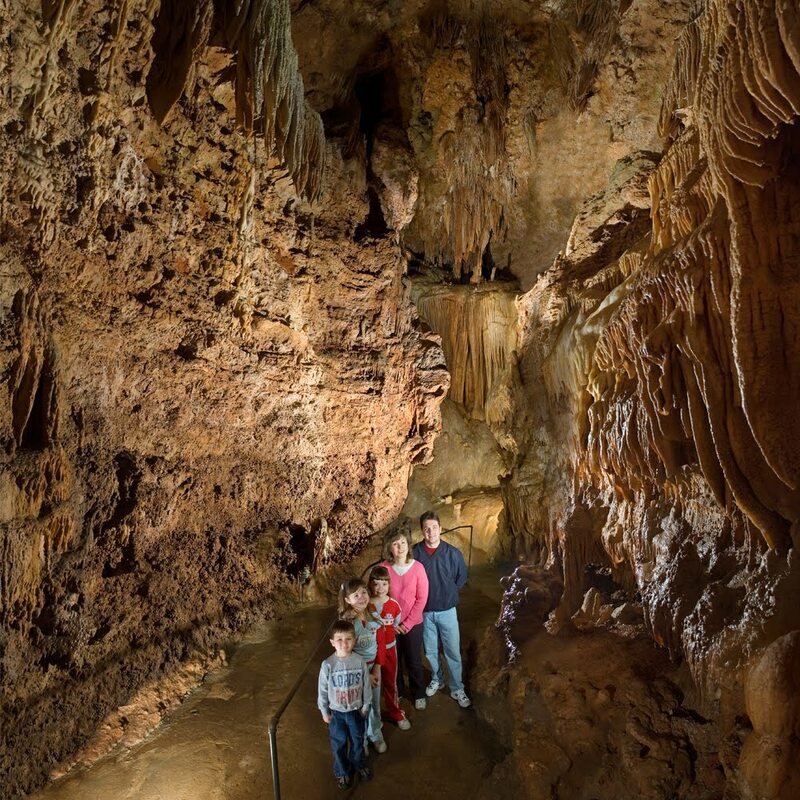 In addition to discovering something new every time that you take a tour through Bridal Cave, Thunder Mountain Park offers all kinds of additional fun things to do while you are here. There are trails to hike, a fire tower to climb, and a lakeside pavilion with an amazing lake view to picnic in. We have a public boat dock so that you can reach us by water, and some hungry fish always hanging around, waiting to be fed. We are also conveniently located by land in Camdenton. You will find one of the most amazing and unique wedding venues at the Lake of the Ozarks inside Bridal Cave. The stalactite-adorned underground wedding chapel is a popular destination for many couples from around the world to get married in. Every wedding ceremony has something special that sets it apart from all of the others, and recently that special-something happened to be a world renowned violinist performing the wedding music. Sara and Levi became Mr. & Mrs. Graves on June 2, 2017 inside Bridal Cave. They traveled from New Alla, Oklahoma to say "I do" here with us, and they brought an incredible entertainer along with them to play the violin at their wedding. This unbelievable 360 video was shared on Levi's YouTube page. The gorgeous botanical gardens that we added to Bridal Cave & Thunder Mountain Park last year are in full bloom and ready to be enjoyed this season! Along with all of the other natural beauty you will experience walking around the trails of our scenic Lake of the Ozarks attraction, as well as the underground beauty inside the cave, these gardens are certainly quite a sight to behold. 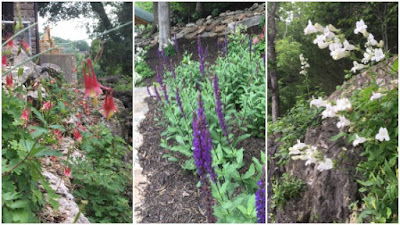 Just outside of our Lake of the Ozarks gift shop you will find a magnificent botanical garden featuring over 20 different blooming flowers and shrubs. These plants provide lovely, fresh flowers throughout the season until sometime in October. The garden also contains a relaxing waterfall feature, and it's all in perfect view from our lakeside picnic pavilion. While enjoying an afternoon picnic you'll have the beautiful garden on one side and the breathtaking lake view on the other! Great Group Tour Possibilities For Summer Vacation! Summer vacation is in full swing. Don't let the kids spend the entire break in front of a screen. Bridal Cave & Thunder Mountain Park is a perfect activity to keep them entertained, amazed, and it's even educational! 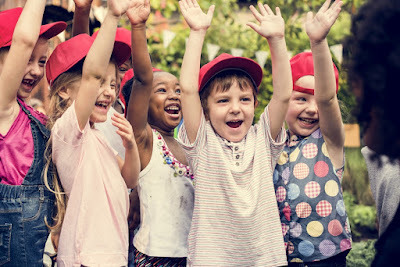 Our kid-friendly Lake of the Ozarks attraction is a wonderful place to bring large groups too: summer school, vacation bible school, summer camps, etc... Get them out of the classroom and into nature! #1 - Pick a date. It's not difficult to find a date that works with your group's schedule, because we're open 7 days a week! When you make your group reservation, we'll be happy to help you decide on a day that fits best into your schedule. #2 - Pick a time.